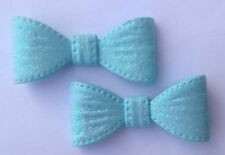 Lovely grosgrain ribbon bow,perfect for girls. 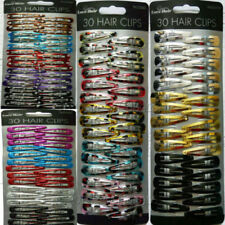 Material:grosgrain ribbon and aligator clip. 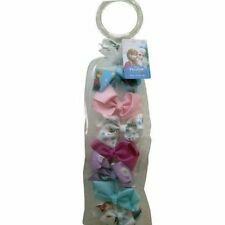 Hair bow on alligator clip,school hair accessories. Bow attached to one alligator clip. Handmade bow. Each bow is handmade. Light blonde imitation plaited hair ponytail on a blue elastic with blue ribbon bow. 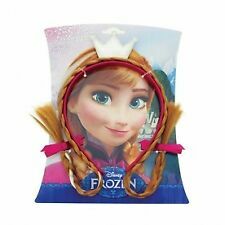 Disney Frozen Anna Fake Alice Hair Band. Plastic headband with snowflake graphics. not appropriate for children under the age of 3. Disney Frozen - Anna Headband with Braids/Plaits. The bows are all lovingly handmade in either chunky glitter fabric, vinyl or leatherette material. They will need to be removed whilst sleeping. 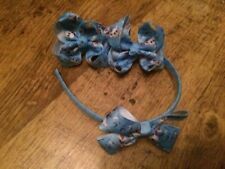 3” Frozen bow on a satin alice band, handmade. Happy to combine postage with my other items but please await invoice before paying as postage can not be refunded. Posted 1st class. 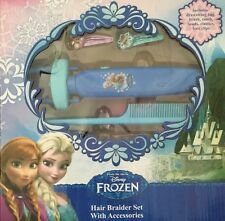 DISNEY FROZEN LIP GLOSS SET. 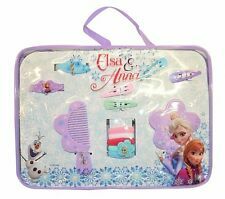 This cute little set is gorgeous for your little frozen fans. The bows are all lovingly handmade in either chunky glitter fabric, vinyl or leatherette material. 🎀💗Handmade 3” Girls Black & Gold Tiger Print Glitter Hair Bow 💗🎀. They will need to be removed whilst sleeping. A great buy for any Disney collector, or Frozen collector. The item is in new condition and is still sealed. 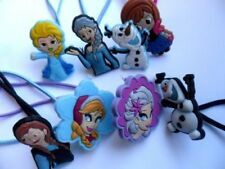 DISNEY FROZEN ANNA & ELSA GIRLS BRACELET & RING SET. 1 x Frozen Elsa Hair Bow with partially lined Clip. The Bow is approx. The Buy It Now price is for one Bow. The first photo shows the Bow from the front and the back. 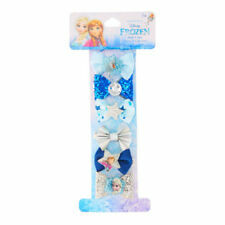 1x Frozen Anna & Elsa Hair Bow with Clip. The Bow is approx. The Buy It Now price is for one Bow. The attached photo shows the Bow from the front and the back.